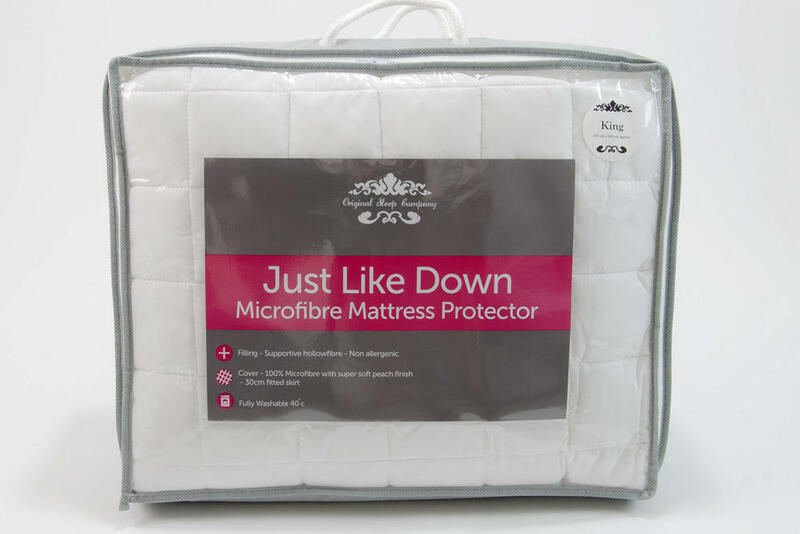 Perfect for adding an extra layer of comfort and protection to your mattress, this Just Like Down mattress protector will make a wonderful addition to any bed. Featuring a 300 thread count brushed microfibre peached feel cover, filled with clusterfibre, providing extra comfort and support at an affordable price. 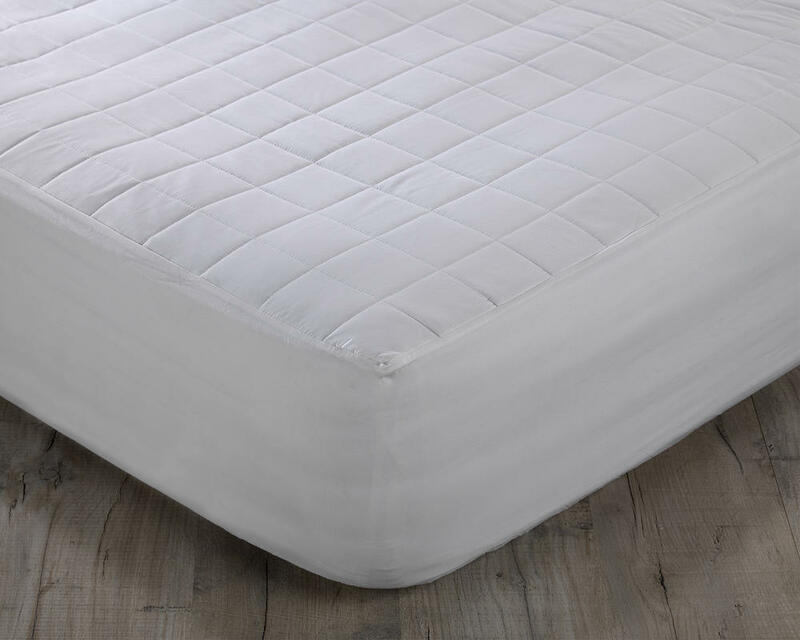 Box quilted and double stitched construction to ensure filling remains balanced throughout and elasticated edges with a 12 inch skirt to fit even the deepest of mattresses.